(2016/Music On Vinyl) 8 tracks. Limited 180gm audiophile vinyl LP pressing in gatefold jacket. Livin' Blues was a Dutch blues-rock group from The Hague, the Netherlands founded in 1967. 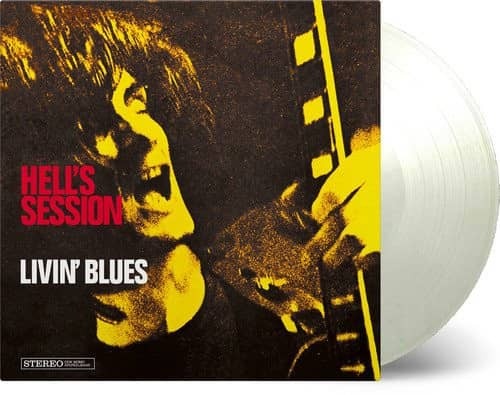 On their 1969 debut album Hell's Session, the line-up included Ted Oberg (solo guitars), drummer Cesar Zuiderwijk (who later joined Golden Earring), Nicko Christiansen (vocals, bongo drums and guitars), John Lagrand (harmonica) and Henk Smitskamp (bass guitar and piano). 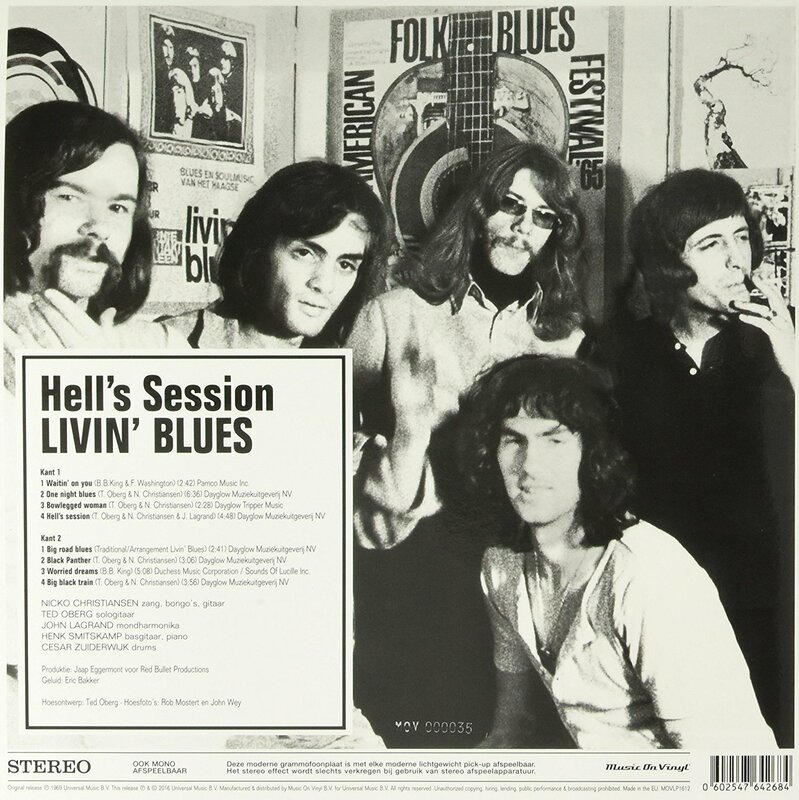 Hell's Session was produced by Jaap Eggermont, one of Holland's finest rock and pop producers (responsible for 'Venus' by The Shocking Blue amongst others). Songs like 'Big Road Blues', 'Black Panther' and 'Waitin' On You' are examples of the Dutch Blues movement in the early 1970s. Customer evaluation for "Hell's Session) (LP, 180g Vinyl)"